When is it time to get a new AC system? Is it running louder than usual? This could indicate that the unit’s indoor coil is malfunctioning or that your duct system isn’t large enough for your home’s square footage. Noticing more dust inside your house? This can mean that there are leaks in your AC system ductwork, which impacts the system’s operating efficiency and costs to run it. These leaks compromise the efficiency of your air conditioning system, which increase the operating costs. Are your AC bills getting higher? This is a big sign that your system isn’t running efficiently. If you believe you’re paying more than 44% of your household utility costs on AC, that’s a good gauge to let you know that something is wrong. Does it seem inconsistently cool and humid at home? 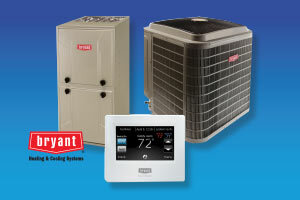 If your AC system is working properly, it should maintain consistent temperatures throughout the house. If it’s not doing that, your system is failing or there are ductwork issues. The average life span of a central AC system is 10-15 years. If your system is close to ten years old or older, it might be better to replace it with a new, more energy-efficient and one that also uses refrigerant that complies with environmental protection regulations (unlike older models) rather than having it repaired. If you answered yes to any of these questions, it may be time think about replacing your AC system. You can rely on our team of AC professionals to help you figure out which of the latest, leading brand energy-efficient systems is best for your home and your budget, as well as all your new system installation needs. Contact us today!